Israel is located on the shore of the Mediterranean Sea and is a must-see location for Christians who want to walk in the footsteps of Jesus Christ and see locations associated with his life. These Israel Christian tours give you ideas of the best ways to see the most of Israel. There is a range of day trips and Israel Christian tours that take place over 11-12 hours or a little longer. Because the most important sites are relatively close together, you can often see a number of Christian historic sites in a single tour. These include the capital Jerusalem, Bethlehem, Tel Aviv and many locations mentioned in the Bible. This is a private tour with your own guide that includes the Old City, the Western Wall and Church of the Holy Sepulchre. It also includes the chance to walk the Via Dolorosa, the route Jesus took to his crucifixion. You can view the city from the Mount of Olives while seeing the Garden of Gethsemane as well as visiting the Dead Sea and the Judean Desert. This is a great way to see the best of this ancient city with an expert guide and is ideal for first time visitors. It includes the tomb of King David and the site of the Last Supper on Mount Zion as well as the Western Wall, the Via Dolorosa and the Church of the Holy Sepulchre. You also visit the Yad Vesham, the commemorative museum to Holocaust victims. This is a tour of the Holy Land that includes lower Galilee to the Sea of Galilee. See the coastal plain of Armageddon, the Church of the Annunciation and the Church of St Joseph’s Carpentry in Nazareth as well as the ruins of the ancient synagogue of Capernaum. If you choose, you can also have a baptismal service in the River Jordan as part of the 11 hour tour. One of the best Israel Christian tours, this 10 hour tour explores the country through the viewpoint of Christian history. It includes locations such as the Mount of Beatitudes, Cana and Ginosar, all with an emphasis on locations connected with the life of Jesus. This tour takes in the stunning Mediterranean coastline of Israel and leaves from Tel Aviv for a full day tour. It includes the oriental bazaar at Acre, the limestone grottoes of Rosh Hanikra and even the amazing terraced Baha’i gardens in Haifa. See two of the UNESCO World Heritage Sites in Israel and the Roman ruins of Caesarea, all from an air-conditioned coach with a professional guide. This full day trip includes the most important landmarks and sites around Jerusalem and Bethlehem. You can see the Old City and the Western Wall along with the site of the Crucifixion while also seeing the Dome of the Rock. The tour then goes to Bethlehem and includes a guided tour of the scenes of the Nativity. All travel is in an air-conditioned coach and includes hotel pick up and drop off. This is an 11 hour trip that explores both the old and new city of Jerusalem. It includes Holy Land sites, the Church of the Holy Sepulchre and the Western Wall. You also get to walk through the colourful Old City with its different quarters and includes entry fees into all sites. For some of the highlights of Israel while on a short trip, this tour is ideal as it allows you to visit three of the most popular sites in a single day. The tour includes the Masada Fortress the Ein-Gedi Nature Reserve and also the Dead Sea, leaving from Jerusalem. See the sun rise over the fortress, watch wildlife at the nature reserve then relax in the buoyant waters of the Dead Sea. Masada is the ancient fortress that is reached by cable car and is known for the ruins of King Herod’s palaces. This tour is a great way to see Masada as well as take a guided tour to the Dead Sea. You even get a chance to enjoy the amazing waters with their salt-richness. Also includes passing the ancient city of Jericho. 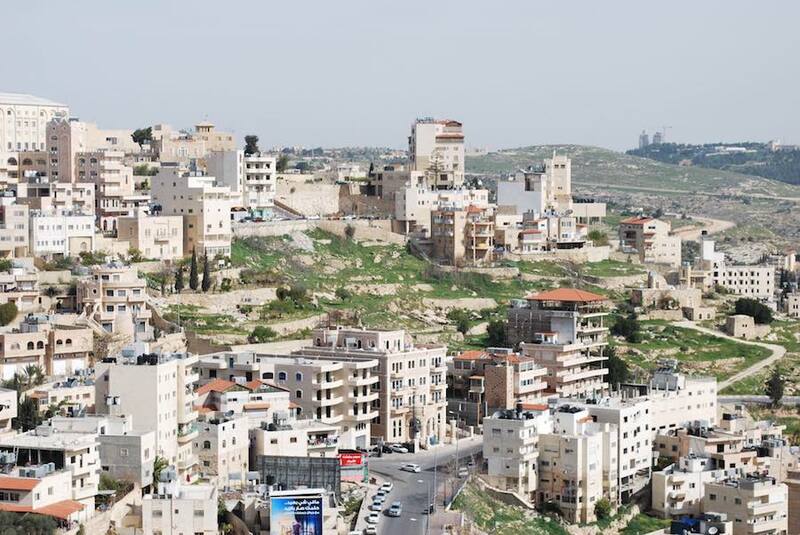 Bethlehem is known for its part in the birth of Jesus Christ and is a special place to spend the Christmas period. This particular tour also includes seeing Midnight Mass in the city as well as enjoying Christmas Day in Jerusalem. This special seasonal tour allows you to spend Christmas Eve in Bethlehem and Christmas Day in Jerusalem where you can join the celebrations at the Church of the Holy Sepulchre. The tour includes a festive meal on Christmas Eve than watching the Midnight Mass in Manger Square. If you are visiting Israel for a little longer and want to look for a tour that takes in more of the country, then overnight and longer trips around Israel are ideal. For a comprehensive tour around the very best of Israel, Christian and historic, then this is the tour for you. It includes Bethlehem, Nazareth, the Golan Heights and the miracle sites around the Sea of Galilee. It also includes Haifa, the Roman remains at Caesarea and UNESCO World Heritage Site Acre. There’s an option to include a trip to the Dead Sea or spend the day in Tel Aviv with a host of different hotels to choose from.